Updated Friday December 29, 2017 by Plainfield Junior Cats. 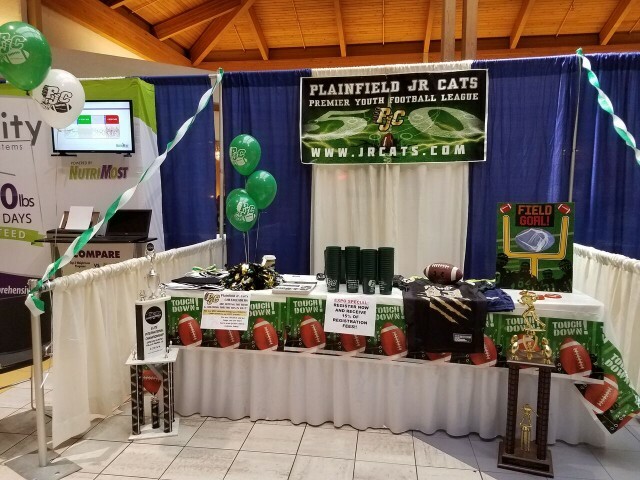 Come visit the Plainfield Jr. Cats at the Plainfield Chamber Of Commerce Business and Job Expo at Plainfield Central High School on Saturday February 17 and register for the 2018 season! Expo hours are 9am-1pm! Come visit the Plainfield Jr. Cats at the Joliet Region Chamber Of Commerce Expo and Job Fair at the Louis Joliet Mall on Friday February 23 and Saturday February 24th and register for the 2018 season! Mall hours are 10am-9pm both days!